Terror and the Postcolonial is a major new comparative study of terrorism and its representations in postcolonial theory, literature, and culture. 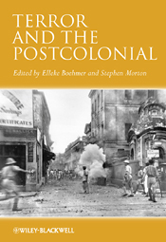 A ground-breaking new study addressing and theorizing the conjunction between postcolonial studies, colonial history, and terrorism through a series of contemporary and historical case studies from various postcolonial contexts. Critically analyzes the figuration of terrorism in a variety of postcolonial literary texts from South Asia, Africa, and the Middle East. Raises the subject of terror as both an expression of globalization and a postcolonial product. Features key essays by well-known theorists, such as Robert J. C. Young, Derek Gregory, and Achille Mbembe, and Vron Ware.